Whether you are buying a home, negotiating an office build-out or litigating an easement dispute, the attorneys at Spigle, Massey & Clay, PLC, are available to help. 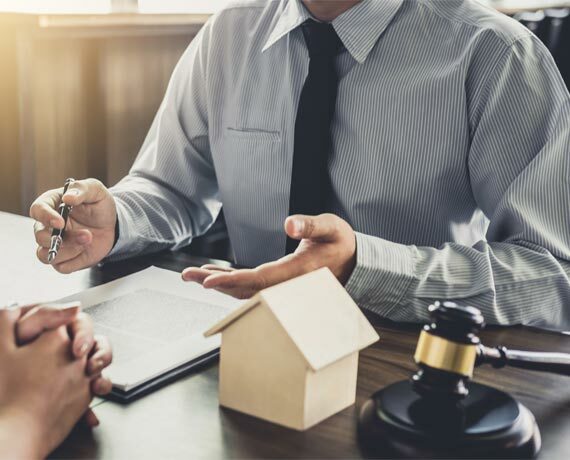 By using our extensive knowledge about property rights, real estate issues, finance, and business, our attorneys are able to work with you to resolve all important real estate issues. To consult with a Virginia real estate attorney at Spigle, Massey & Clay, PLC, call (800)-218-5409 or contact us online today to schedule an appointment. Our real estate attorneys assist business clients on transactions involving commercial properties, such as buying, selling, renting and leasing office space. Whether you need space for a small retail shop or seek to build a new branch office for a large corporation, we have the experience to effectively handle these matters. Because we are attorneys first and foremost, we understand the legalities associated with real estate in Virginia. Our substantial knowledge about Virginia property laws and civil litigation can lighten the burden. Along with dynamic courtroom demeanor, our attorneys possess more than 75 years of combined courtroom experience necessary to successfully litigate your real estate disputes. Call Spigle, Massey & Clay, PLC, at (800)-218-5409 or contact us online when you require a skilled real estate negotiator. When it is in your best interest to solve a real estate dispute outside the courtroom, our effective mediators guide negotiations toward equitable solutions. By retaining an experienced mediator to negotiate your contracts, you can often save unnecessary stress, time and money and feel confident you have made the most beneficial deal.